Money can’t buy you out of this trap the patriarchy put you in, ladies. If an eye for an eye leaves the whole world blind, what does a tweet for a tweet do? If you’re talking Khloe Kardashian’s newly minted social media beef with Amber Rose, it probably leaves most of the world entertained, while exposing the fact that even so-called sexual liberation comes with the baggage of race and class. Monday’s exchange between the two social media empresses quickly devolved into “Who is the biggest whore” among their followers, despite the fact that the professional difference between Rose and “Team Kardashian” is near negligible, save for race and class. Rose is a bodacious, biracial Cape Verdean queen who grew up hardscrabble in Philly; the Kardashians are the privileged, socialite sisters of Beverly Hills, best known for how they look inbodycon dresses. All of them are basically professional pretty people. All of them have posed in various states of undress—both on purpose and “caught in the act” accident. 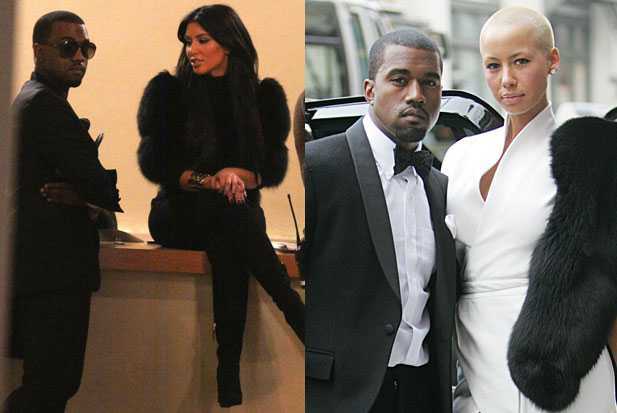 Both Rose and Khloe’s sister Kim Kardashian have known rapper Kanye West carnally and allowed him to ruin theirrespective wardrobes. Their fight was the exact result of the “choose your choice” wing of third-wave feminism, where women are (rightfully) encouraged to be their true sexual selves without being demonized for it, but still find themselves devolving into contradictory absurdities because too many women want to be able to claim the protection of third-wave feminism, while using the old-fashioned ammo of sexism to tell their competition to put on some pants and shut up. Haven’t read you in a quite awhile, as work servers won’t let us. I still see you are a steppin walkin razor don’t watch my hair I’m dangerous. Aw! Thanks, Robert. I’m trying!